An earthquake measuring 5.3 on the Richter scale jolted Zakynthos in the early hours of Tuesday, less than a week after the area was hit by a tremor with a magnitude of 6.4. The latest quake was recorded by 4.59 a.m. and its epicenter was 48 kilometers southwest of Zakynthos and 294 kilometers west of the Greek capital, the Geodynamic Institute in Athens said. 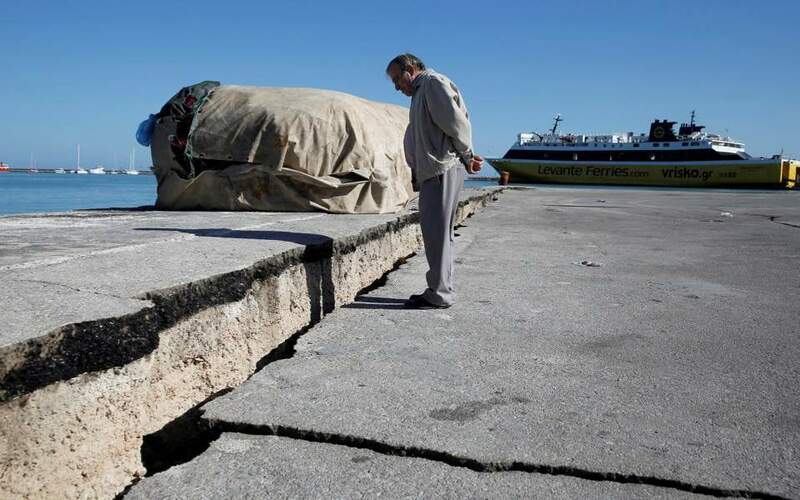 There were no reports of injuries or damages, though the island is still on edge after Friday's quake, which damaged a section of the pier and a 15th century monastery and was followed by a series of strong aftershocks.